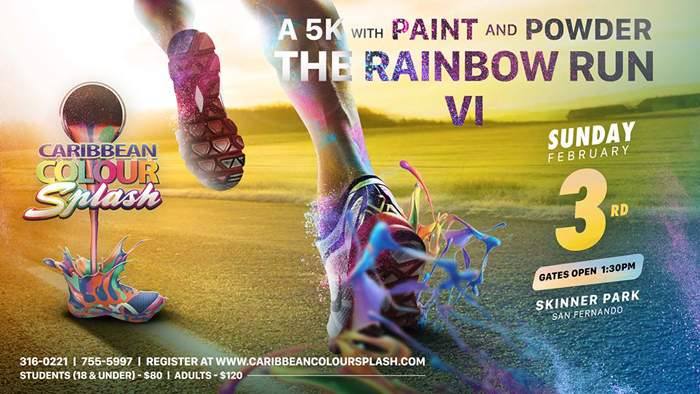 Caribbean Colour Splash is a 5K paint race and fun run where professionals and novice runners come together and enjoy the sport. Runners, joggers, walkers can join in an evening filled with paint and powder. Whether you are an avid runner, or first time 5K’er, you set your own pace for the run. This event is ideal for experienced runners and first time participants. This year we will be collecting non-perishable items in preparation for the 2019 flood relief. Also we will be promoting an active lifestyle to the general public. Come celebrate happiness, healthiness and bring your crew and the entire community together to participate in a 5K fun run/walk.